The alarm is set for 5 am, but I’m up a few minutes earlier. At that precise moment, in another part of the world, a Saurashtrian with a dodgy knee and a bald 31-year-old New South Welshman, two specimens of a near-extinct species, are gearing up for the next round of a fascinating war of attrition. But, for once, the temptations of Test cricket have to be curbed and defied. Four hours later, after changing trains thrice, I’m in the distant suburb of Badlapur, and Suresh Chandvankar is leading me up the stairs to what can only be described as his den. Chandvankar is in his late 60s, a frail man with a perpetual jhola and, I gather, complete disinterest in any kind of sport. (“I like to walk,” he said.) When he bought this house in the late 1990s, “there was nothing here then. I could see the hills from my house.” The hills are now firmly obscured by rows of monotonous apartment buildings. But the house still retains a sense of repose, affording him the space and silence to spend quality time with the love of his life: an enviable collection of shellac and vinyl records that has taken him the better part of five decades to amass. Each of these records has a story, he says. And many of these stories, I realise, originate in Chor Bazaar, Mumbai’s legendary flea market. 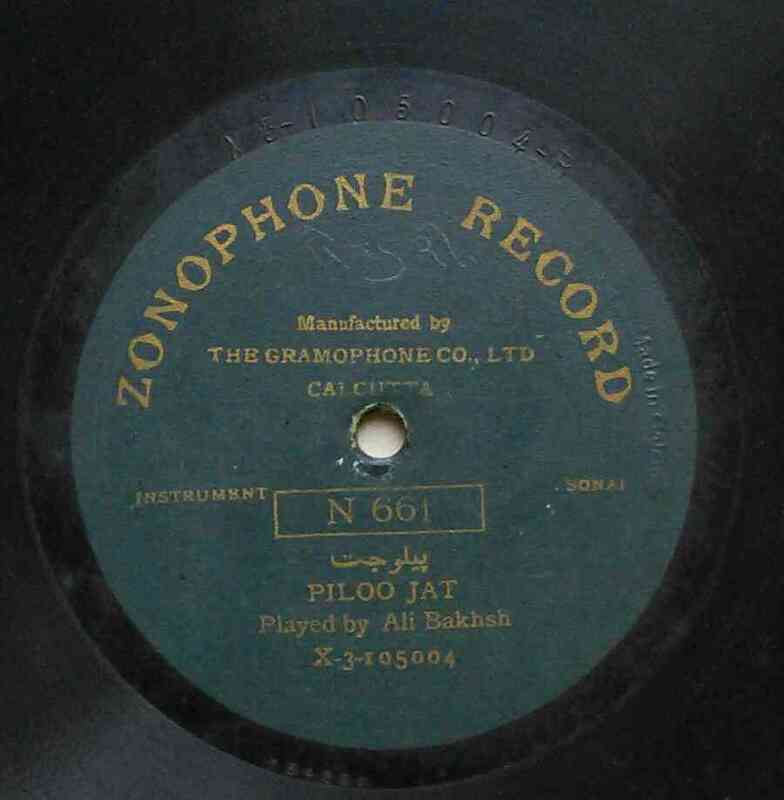 My favourite is the one about a Zonophone shellac disc from the early 1900s, featuring the music of an obscure shehnai player named Ali Bakhsh. The Zonophone record featuring the music of Ali Bakhsh. Photo credit: Suresh Chandvankar. The disc intrigued Chandvankar. Was this the same Bakhsh who passed on the art to a nephew, who would one day become synonymous with the shehnai? It was an itch that had to be scratched. When Chandvankar found out that Ustad Bismillah Khan was coming to Mumbai to perform, he promptly contacted a musician friend who was known to the ustad, and managed to wrangle an audience with Khan saheb. As luck would have it, just days before the meeting, he received a copy of Michael Kinnear’s newly published The Gramophone Company’s Indian recordings, 1908-1910. When Chandvankar checked the book for information about the Bakhsh disc he had bought, he was in for a surprise. While the disc was listed, Kinnear’s research indicated that the creator’s name was the alias for a musician named Talim Hussain (or Hossein). So was this a different Ali Bakhsh, after all? “I decided to keep quiet about it,” said Chandvankar. On the day of the meeting with Khan, he arrived at the hotel in Byculla where the maestro always stayed when he was in Mumbai – “the only hotel that allowed Khan saheb to wash his own clothes”. With the enigmatic record and a hand-cranked gramophone player in tow, he was shown into a room where he found the musician in a relaxed mood after his namaaz, sitting on a bed, wearing only a baniyan and lungi, and chatting with other visitors. Chandvankar set up his equipment and, after a go-ahead from the ustad, rested the stylus on the groove. As strains of the shehnai filled the room, there were wah-wahs from the people who had assembled to hear the great ustad’s ustad play. But Khan kept his eyes closed and listened intently. When the three-minute track ended, he refrained from commenting on it and instead asked for the other side to be played. Chandvankar complied. The second track was played. There was silence in the room now as everyone waited for the maestro to respond. Khan saheb pondered for a while and then looked up and said, “Yeh hamare mamu nahin hain.” This is not my uncle. On a wall in the Badlapur house hangs a picture of the fabled Gauhar Jaan. And just below it, a vinyl. Does this one have a story, too? It does. In fact, it takes us right back to Chandvankar’s childhood and the beginnings of his passion. “One of my uncles owned a hand-cranked gramophone,” he said. “But I was not allowed to touch it.” The little boy would watch and hear from afar, fascinated. 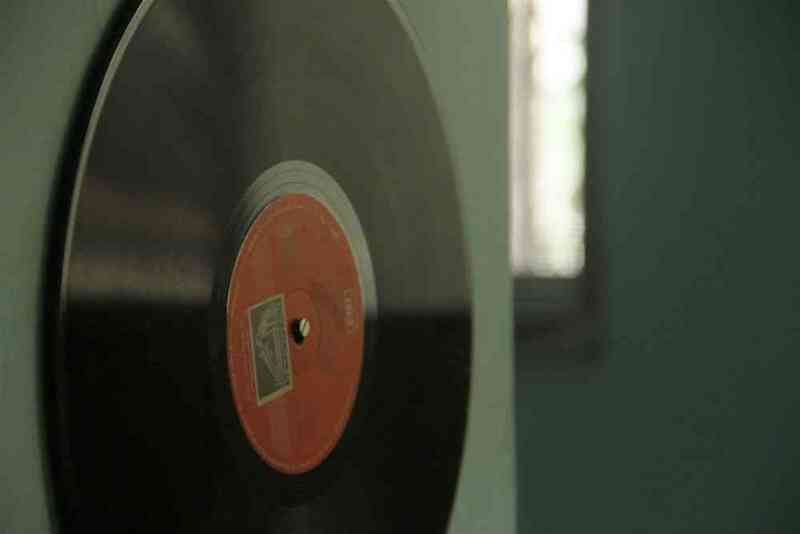 Sensing his interest, his father, who ran a small waste paper shop in Pune, started buying junked records. “He would buy them by the kilo, for something like 25 paise per kg,” said Chandvankar. But there was a small problem – there was no gramophone on which he could play these records. So the young Chandvankar got a nail driven through a wall. “I would rotate the record around the nail with one hand, and in my other hand I would hold a pin and move it along the grooves of the record. I would try to listen to whatever feeble sound I could get.” His father saw “his madness” and decided to get his son a proper gramophone. By the time he completed his Masters in Physics and moved to Bombay in 1976 to take up a job at the Tata Institute of Fundamental Research – his “first and last job” – Chandvankar already owned about 1,000 records. “I was living as a paying guest in the initial years here, but even then I brought those records with me,” he said. 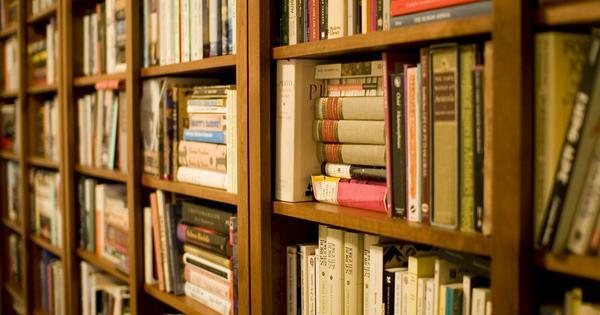 The collection kept growing, as he moved to a rented place in Dombivli and then the Tata Institute of Fundamental Research staff quarters in Colaba, where he lived until his retirement. 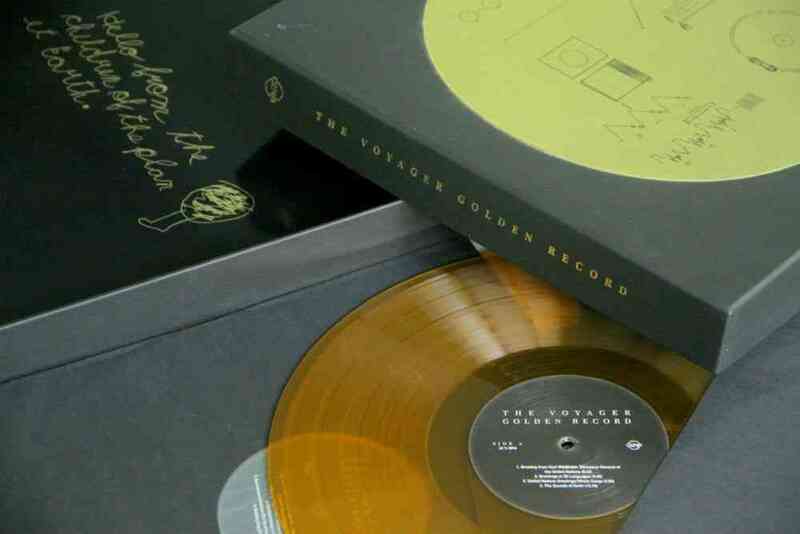 Among Chandvankar’s possessions is the 40th anniversary reissue of 'The Voyager Golden Record'. Photo credit: Rudradeep Bhattacharjee. Like most collectors, he says, he was self-absorbed. But then one day, he “realised that I am not the only guy doing this”. This realisation that he was part of a larger community was given further impetus and direction by Kinnear, an Australian researcher who was then compiling a discography of the earliest Indian recordings. Chandvankar had read about Kinnear in a short article in a Marathi newspaper. Intrigued, he approached the newspaper and asked if they could provide him the Australian’s contact details. They did. He sent a handwritten letter to Kinnear. He was not “expecting a reply”, and was pleasantly surprised when he got one. Some months later, Kinnear came to India to research his book. In Bombay, he stayed at Chandvankar’s house. Kinnear’s sojourn proved providential in many respects. Chandvankar had been visiting Chor Bazaar since his adolescent years. But he discovered the quirky Australian knew more about the area than he did. “Kinnear took me to all the Chor Bazaar lanes which I did not know of,” he recollected with a laugh. The Society’s first meeting was held at the Tata Institute of Fundamental Research staff quarters in June 1990. Kinnear was in attendance. Initially, they organised listening sessions. “Sometimes, we used to invite a guest singer or musician,” recollected Chandvankar. “But mostly we used to chat. [At times] in three hours we would listen to only five or six tracks and talk more [instead].” The Society also began publishing an informative newsletter titled The Record News with Chandvankar as editor. The encounter with Kinnear marked the first major turning point in Chandvankar’s evolution as a collector. The next step came almost a decade later. In 2001, when he heard that the two preeminent international organisations involved in the preservation of recorded sound – the International Association of Sound and Audiovisual Archives and the Association for Recorded Sound Collections – were organising a rare joint conference at the British Library, he decided he needed to be there. Kesarbai Kerkar, on the Broadcast label. 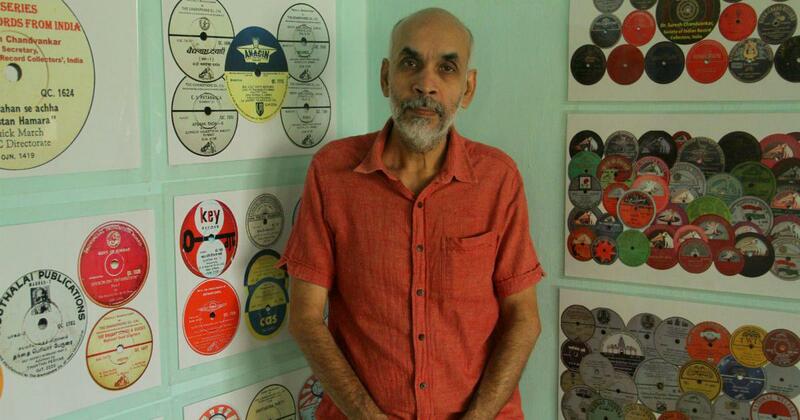 For close to two decades now, Chandvankar has also been assiduously involved with several projects aimed at digitising vintage records, and making them accessible to the general public. In 2004, he received a grant from the Sangeet Natak Akademi to digitise records made by Broadcast, a British label that briefly tried to mount a challenge to the Gramophone Company. Later in the decade, as he lay convalescing after an open-heart surgery, Chandvankar got to know the British Library was giving out grants as part of its Endangered Archives Project. The institution ended up funding two of his pet projects. 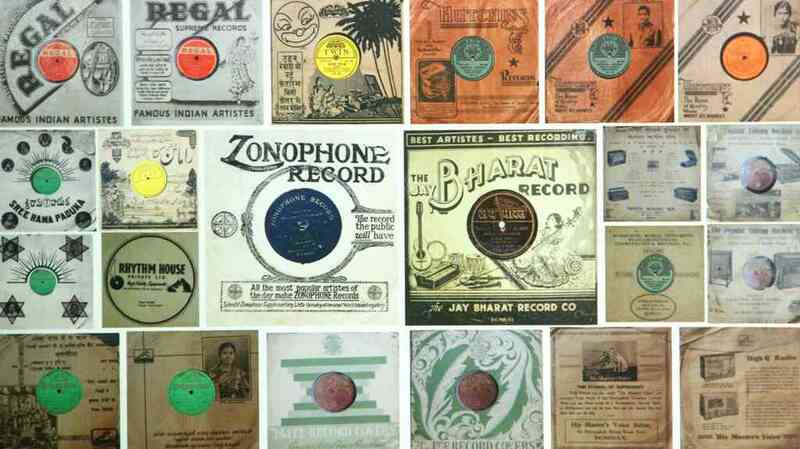 In 2016, the British Library put up these digitised recordings – Young India record label collection and the Odeon record label recordings from the Indian subcontinent – on their website. 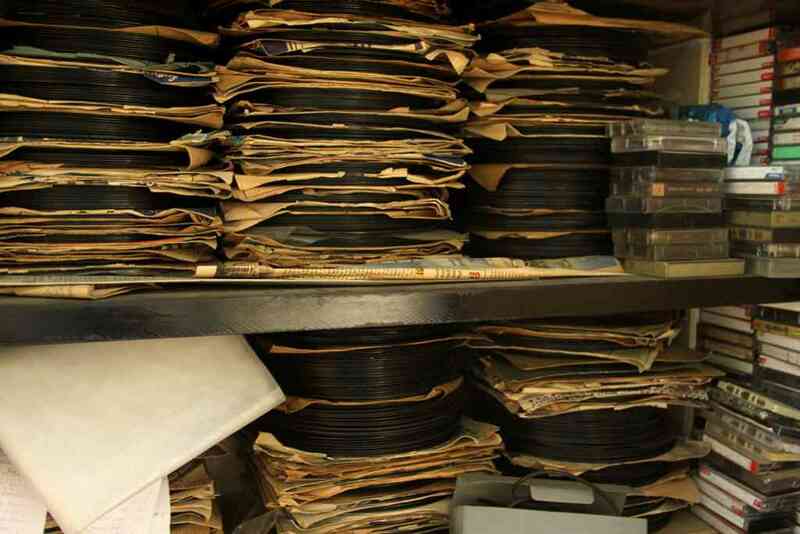 Unfortunately, the Sangeet Natak Akademi and the Ministry of Culture – for whom Chandvankar did a subsequent project dedicated to the digitisation of records released by a host of smaller, non-HMV labels – show no signs of doing something similar. 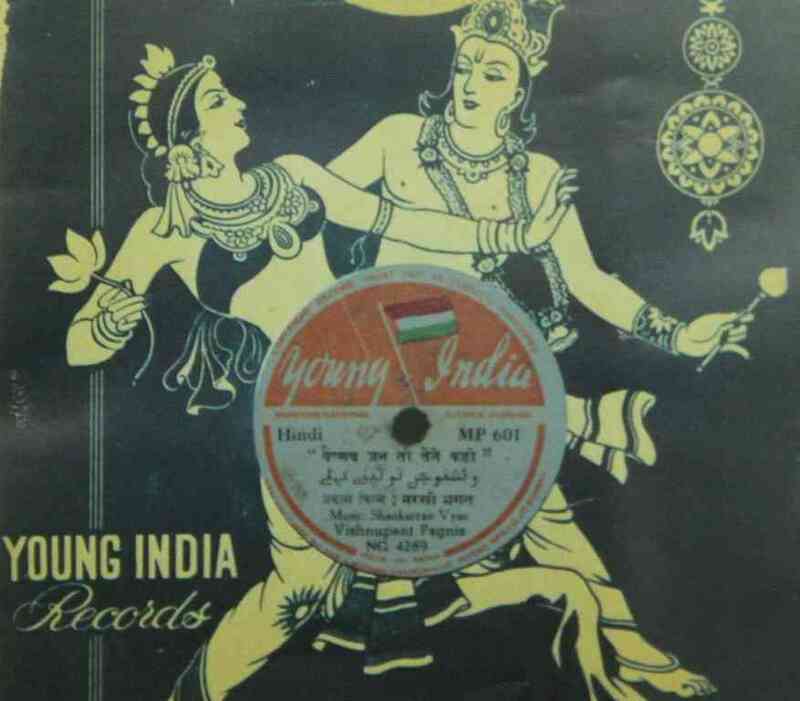 The Young India label was started by filmmaker V Shantaram. Photo credit: Rudradeep Bhattacharjee. Does this then mean that he has stopped deriving pleasure from music?